Sugar Beach Resort 505 has barely been on the market for the week and is listed at a great time because it is the only Sugar Beach Resort unit on the market at this time. 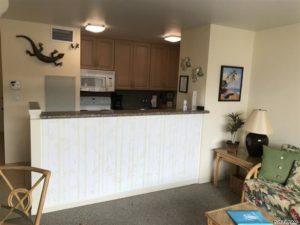 From its inner courtyard 5th floor location, the unit has great views onto the ocean and the island of Kahoolawe in the distance. More or less in original condition, buyers have a great opportunity to put their own stamp on the place and really make it their own piece of paradise. With 1 bedroom, 1 bathroom, and 613 sqft, the unit is a good size. The open layout and natural flowing in from the lanai make the it feel larger than it is. Owners have the option to rent their unit out on a short a term basis and it is an extremely attractive feature to buyers. The unit comes with strong rental history and is heavily booked throughout the year. Maintenance fees include: Maintenance fees includes “ALL Utilities”; Electricity, Sewer, Water, Garbage, Cable TV, Internet, Wi-Fi and free telephone to the entire US and Canada. Sugar Beach Resort experienced a decent year in 2018 with a total sales volume of $3.57 million, but some would argue it underwhelmed in comparison to 2017 numbers where it saw 11 units sold. All of the units sold last year 1 bedroom units like the listing above. Interestingly, considering the complex’s direct beachfront location, it took 5 of the 6 units sold more than 6 months to find a buyer; one even needed more than 1 year to complete the sale. 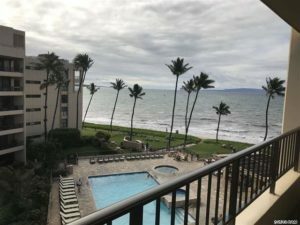 While 1 year may be hot and the next year slow, markets can pick up at any moment and it isn’t atypical to see a Kihei condo complex pick up most of its sales in a short time frame. Buyers favor Sugar Beach Resort because of its relatively low barrier to entry in relation to its beachfront location. Move this complex down 5 or 6 miles into the heart of Kihei and these units would be going for $1+ million easily. In terms of price/sqft, it seems like buyers are not getting a good value but that’s only because the units are on the smaller side. Buyers on average should expect to pay around $1000/sqft, but can sometimes get into the complex for around $700-$800/sqft. The $600k price dominated the market with 66% of the sales, while the $00k and $500k price range each saw 1 unit sold. To get a complete idea of the market, check out our Sugar Beach Resort sold data. With 1 active listing in the Sugar Beach Resort, buyers do not have many options to choose from. When there is no inventory in a certain market, good agents can use their network to uncover listings not publicly for sale on the open market. Ask us about our Private Collection. The best way to stay up to date is with our Sugar Beach Resort new listing email alerts. 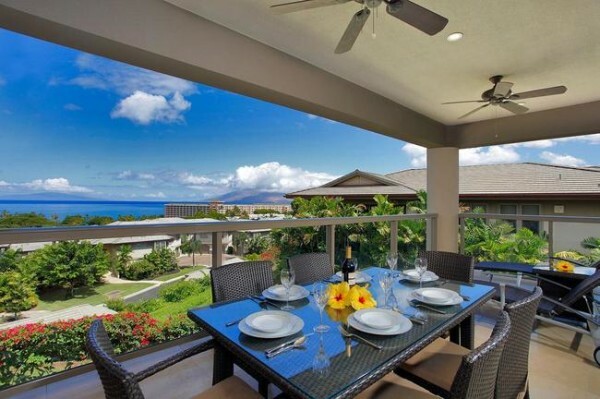 They can be customized to fit any type of property on Maui you are interested in.